Readers outside the publishing world may not know that Tuesday is almost always the official release day for most traditionally published books. It’s the perfect day to release new books, because booksellers have one last chance (Monday) to order from our overnight distributors any great new releases that have slipped past our radar up to that point. It also allows any lagging shipments one extra day in the new week to catch up. Since today’s book release news will be entirely focused on James Comey’s A Higher Loyalty, I’d like to take this opportunity to trumpet the children’s books born today that may not hit news channels quite as notoriously. 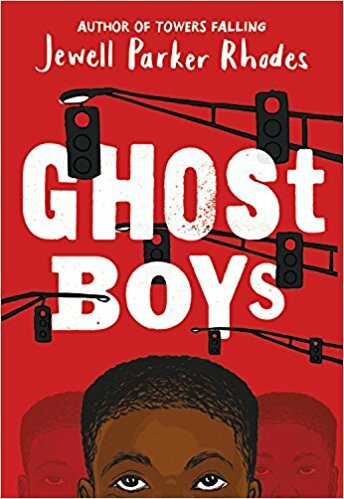 Ghost Boys by Jewell Parker Rhodes (Little, Brown) is a powerful middle-grade novel that begins just after the shooting of a 12-year-old Black child by a white officer. The ghost of the boy, Jerome, observes the aftermath of his death—a disgracefully familiar tragedy—and encounters the ghost of Emmett Till, who eventually shares his own harrowing story with Jerome. It may sounds like a hard book to sell, at least to adults; many parents will think the topic is too intense for 11- and 12-year-olds. But kids hear about these events all too often in the news, and many, many kids live these events, and here is a sensitive, piercing, powerful portrait of a family bravely facing the worst of our nation—a pattern of casually treated violence against our own brown children—a centuries-old pattern that must finally be broken. It’s amazing that Jewell Parker Rhodes treads this difficult ground so successfully with simplicity, warmth, honesty, and even hope and humor along with the heartbreak. I haven’t had a chance to read artist Alison Oliver’s authorial debut picture book, Moon (Clarion), but I am truly over the moon about its cover art. The Publishers Weekly review says, “Moon has purple skin, long black hair, and a daunting list of responsibilities–soccer practice, trumpet lessons, etc. She wants more (“To run. To yell. To be wild”), and a nighttime visit from a wolf answers her yearning. The wolf leads Moon to its pack, and they show her “the wolfy ways. […] Plenty of stories assure readers that nature is worth exploring; this one suggests that it has the power to change them.” I can’t wait to read it today! It seems we can never have enough books about anticipating a new sibling, especially stories that are happy and reassuring. Many of our favorite new-sibling books are the funny ones that help older siblings deal with their conflicting feelings about the new addition, like Julius, the Baby of the World by Kevin Henkes, You’re the Boss, Baby Duck by Amy Hest, The Other Dog by Madeleine L’Engle, Emily Jenkins’ That New Animal, Martha Alexander’s When the New Baby Comes, I’m Moving Out, and so on. So it’s wonderful to be able to add Mama’s Belly to our new sibling shelf. 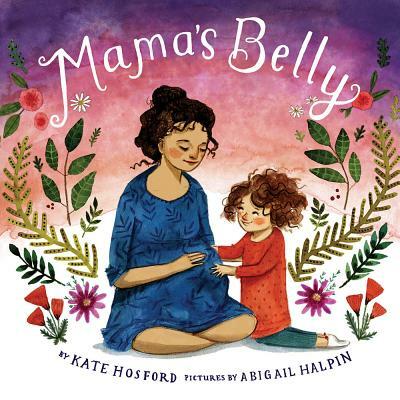 It’s a lovely book by Kate Hosford and Abigail Halpin that’s filled with an almost-big-sister’s questions about what it will be like to have a little sister, and her mother’s gentle, patient, loving answers. Some MG writers have a perfect affinity for elementary school students, able to speak their language and inhabit their worlds so naturally it feels effortless. They create friendly, cozy worlds that navigate the world of childhood concerns with compassion and humor. Linda Urban, friend and fellow Vermonter, is such an author. 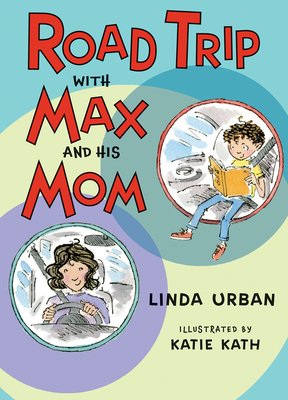 Her new book is Road Trip with Max and His Mom, illustrated by Katie Kath (HMH), a follow-up to the first in the chapter book series, Weekends with Max and His Dad. 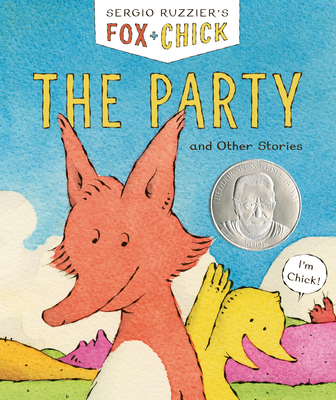 In this installment, a road trip to Michigan with his mom to celebrate his great-great-aunt’s 100th birthday at an amusement park—an exciting adventure—also means that Max won’t get to be with his dad for the weekend. Fortunately, Max can approach the trip like one of the explorers he most admires, Ernest Shackleton, and turn his own adventures and misadventures into a grand adventure they all survive. This entry was posted in Uncategorized on April 17, 2018 by Elizabeth Bluemle. Thanks, Elizabeth! I appreciate the mention on If Wendell Had a Walrus’ book birthday.